A perfect storm is a rare combination of events that drastically aggravates a situation. New developments with Data Analytics, as well as softness measuring and testing techniques, now allow tissue makers to use the Geometric-Mean Breaking-Length (GMBL) as an important tool to reduce softness variations. This gives them the ability to systematically reduce basis weight in the sheet which, in turn, can achieve significant cost savings for fibers, energy, and chemicals, while at the same time, potentially allowing machine speed to increase. This paper shows how it is possible to have Machine Direction Tensile (MDT), Cross Direction Tensile (CDT) and Basis Weight (BW) all within specifications and yet the resulting Softness is unacceptable. To attempt to understand and solve this, we will begin by defining the Geometric-Mean Breaking-Length (GMBL) and demonstrating how this compound variable influences softness and magnifies softness variation. Several simulations are provided to demonstrate these points. 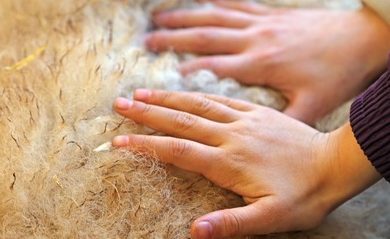 Traditional methods to control softness are discussed and shown to be lacking in precision and accuracy. Only the newly-developed TSA instrument from Emtec shows promise as an excellent method to accurately and consistently measure total softness. However, the instrument needs to be calibrated with a professional panel. The body of information regarding these aspects of softness is then summarized, leading to several important conclusions. The recommendations provide several ways to reduce softness variation, while also offering a strategy for substantial cost savings. Please feel free to share this content by clicking on your favorite social media below. Thank you!